Ordered 2:00pm Friday, delivered 10:00am Saturday. Great service. 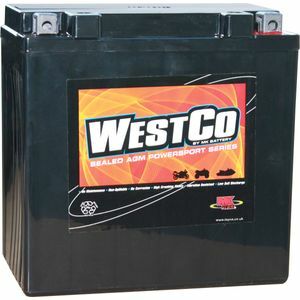 great fast service best battery I've bought !!! Excellent battery. Well worth the money. Completely sealed unit. Fitted it to my jet ski and up she fired first turn after being laid up for 8 months. Much higher CCA than cheaper batteries which are just false economy. Fast delivery, specced correctly. Not tested long term yet but no issues so far. Thank you. Near instantaneous delivery is almost as good as physically walking into a shop. Well done. Got exactly what I ordered, and delivered at 7.30 next morning! Starting the jetski is much easier, and there's plenty of cranking power when it's cold and the engine doesn't want to start too easily! Thank's for the great service.